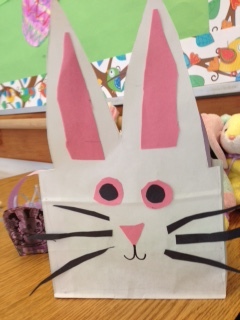 Easter is so much fun in the Kindergarten. It’s such a lovely time, full of hope and anticipation about everything that’s new and growing. It’s a lot like how we see our Kindergarten children: we are so full of hope for them as we anticipate their growth and maturity, and we head into our final term together. 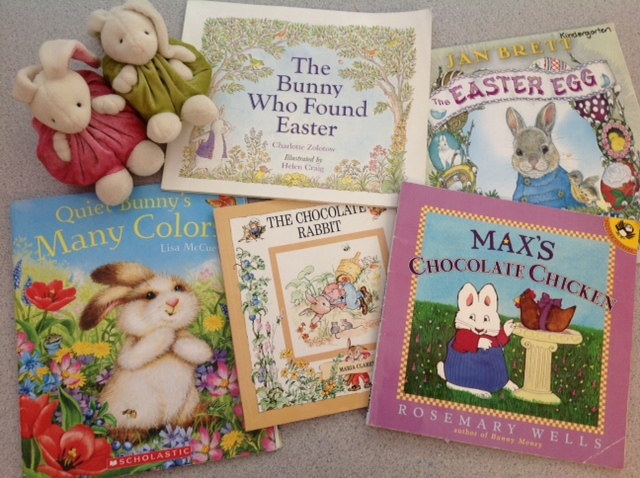 We had just a short turnaround from Spring Break to get ready for Easter at school. 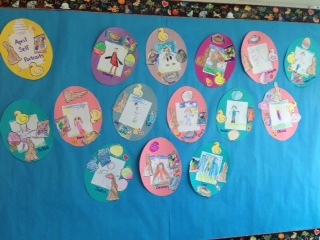 We completed our monthly self-portraits with an Easter theme. 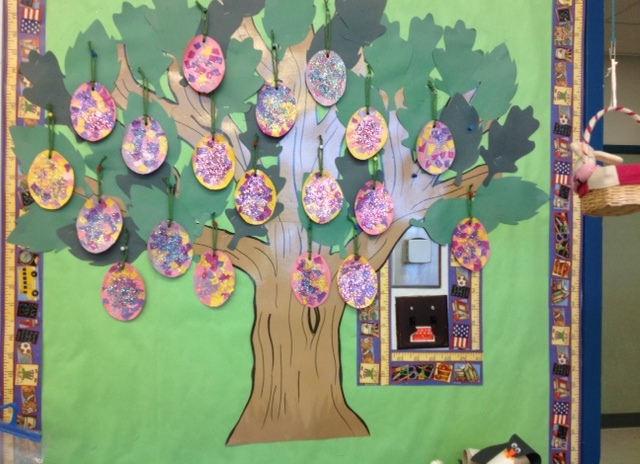 We made glitter torn paper eggs for our classroom tree. 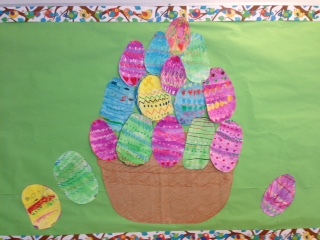 We used pastels to pattern our eggs, and then we gave them a watercolour wash.
We made bunny baskets with our Grade 7 Buddies. And we just had a fun Easter egg hunt where we each looked for one special egg, filled with alphabet letters and chocolate mini eggs. We demonstrated excellent self-regulation, remaining calm and quiet on the carpet as we waited for our friends to find their egg. We didn’t open our eggs until we all returned to the tables. 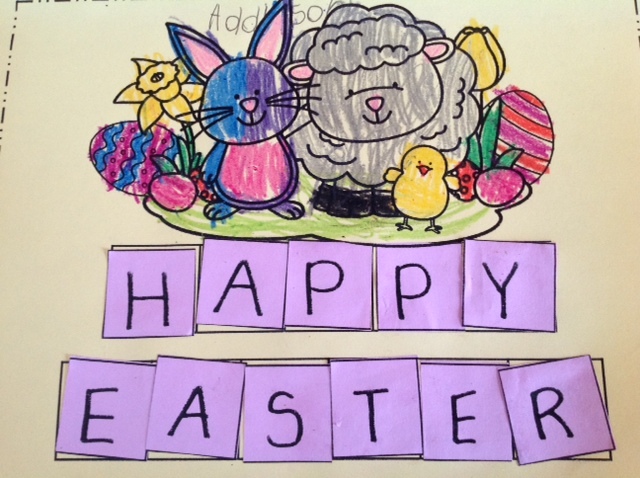 Then we glued the alphabet letters onto an Easter word puzzle to spell a special message. 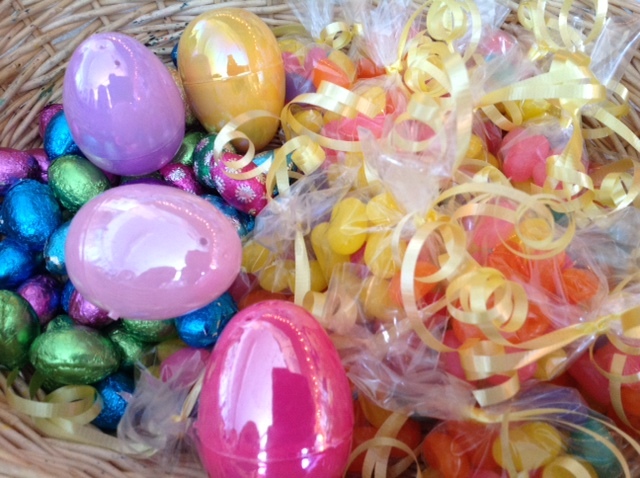 We wish you a Happy Easter and hope that all your Chocolate dreams come true! 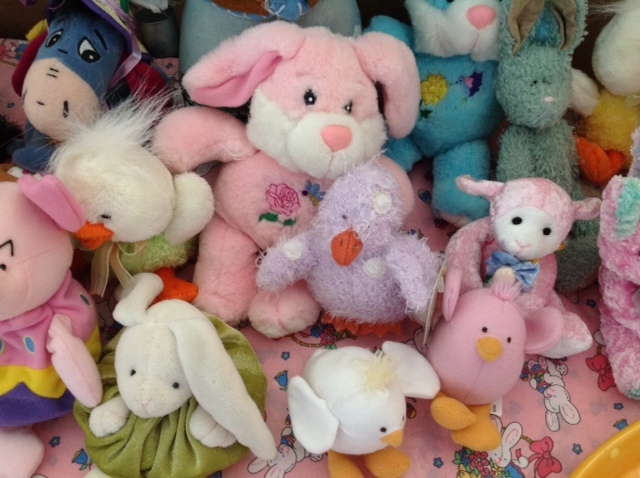 This entry was posted in Holiday Fun by thekinderteam. Bookmark the permalink.